League of Legends news » How to watch Forge of Champions Tournament 3! Things are hotting up in Forge of Champions! Excel currently top the standings after mounting an incredible reverse sweep to win 3-2 against Enclave in last week’s second qualifying tournament final, with Tournament 1 winner Diabolus Esports now close behind them in second place in the overall standings. But that could all change again as teams jostle for position in the third round starting this week. Here’s everything you need to know about what’s coming up. Who’s winning Forge of Champions? Excel’s stunning victory last week means they top the standings for now, but there isn’t much separating them from Diabolus and then Enclave. Then there’s barely anything to separate the next four teams - Wind and Rain, Misfits Academy, MnM Gaming and Hyperion Esports - with Digital Warfare rounding out the Top 8. Remember that the team with the most points after all four qualifying tournaments will get one of the two UK spots for European Masters. The Top 8 will all head to the Grand Final on 5th-6th September at the LVP studios in Barcelona to compete against each other for a big pile of cash and another EU Masters slot. Competition for eighth spot looks like it will be tense over the next few weeks too. 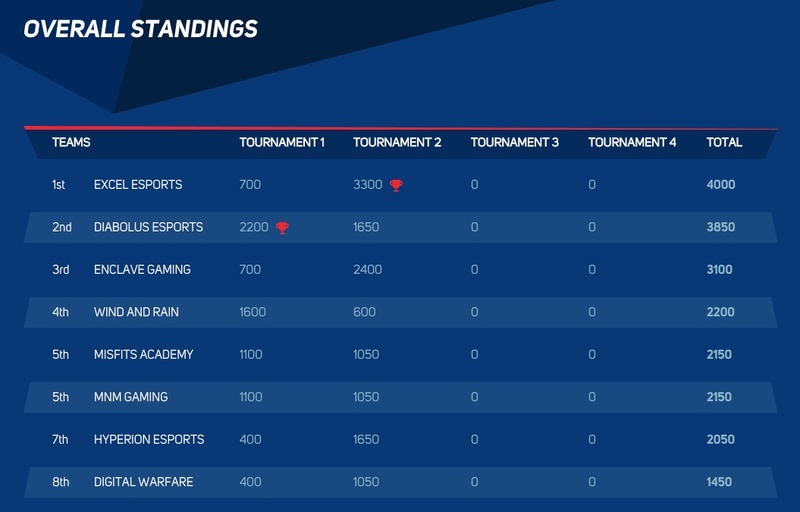 Check out the Forge of Champions website for the full standings. This week it’s the quarterfinals of the third Forge of Champions tournament, with two matches each day across Wednesday 25th and Thursday 26th July. This week we have casting and analysis from Jake “Hiprain” Matthews, Dan “Aux” Harrison and Tadhg “Celtic Tiger” Brennan, who will be live in the LVP studios in Barcelona to follow the action and see who punches their ticket for next week’s semifinals and final. You can also follow LVP UK on Twitter for regular updates and the Riot Games UK Twitter for the big announcements and all-year-round complaints about the British weather. ← Prev news: New free champion rotation: Aatrox, Elise, Jinx and more!